Today I want to write about some questions I have been getting over and over again from my email list and from Internet Marketing Forums of which I am a member. Instead of answering them individually, and repeat myself over and over again, I decided to write this blog post. One of these questions is, “what would be the first thing you do if you want to make money online?” There are so many choices! Do I start a blog? Do I set up a landing page? What is the first thing to do? My advice is trying to simplify everything as much as possible. 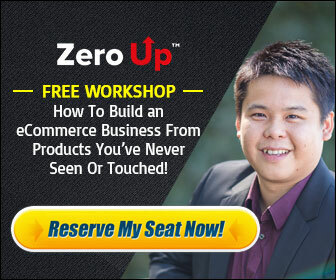 One of the reasons most people don’t get started is that you are bombarded with so much make money online products out there on the internet. I am sure you have been in that situation before where you are just overwhelmed by this information overload. If I was to simplify things I would say you only need 3 things to start. Firstly you need a blog. My Blog is what makes everything happen. It brings me my traffic, it brings me my leads, communicates my messages and helps to build a relationship with my list and of course makes me money. The good thing is a blog is cheap you can start one for as little as $60 yearly including domain name and hosting service. Do not waste time with free blogs like Blogger.com if you want to make money in the long term. With your own paid blog you will have control over all of it’s functionality. I have had a few Blogger.com blogs that I had created over the years deleted by Google just like that which made me have to start over again from scratch. You can go here to learn more how to set up a wordpress blog with Bluehost. The second thing you need to do is to build up an email lists from day one. The biggest mistake I ever made was not to do this. If I did that from the beginning my email list would be twice the size it is today and my income would have been twice as much. This turned out to be a costly mistake, one I hope you do not make. I started my first personal blog just as a hobby for at least 2 years and I didn’t apply any internet marketing techniques to it. Imagine the amount of money I could have made during that time, therefore you make sure you get that done. The third thing you need to do is set up a lead capture page generator on your blog to capture your visitor’s emails. For that I use lead pages you can find them here: http://www.leadpages.net. You can visit there website to find out more about this service. These are the 3 things you need to do to get started right away. You can also use other popular email capture services like Aweber.com and Getresponse.com. I guess I could add another step and that is to use stats tracking to see how many persons are visiting your blog and geographic location of these persons etc. I recommend you set up Google Analytics or Statcounter on your website to do this. You do not have to set that up right away, but you can do that after you set everything thing else up. If you are wondering what to do, the key is to get these 3 steps started and everything will fall into place. The key is to get started, do not let lack of will get you down in the beginning. Do not let the information overload prevent you from get started, just get those 3 things I mentioned above out of the way and just continue. 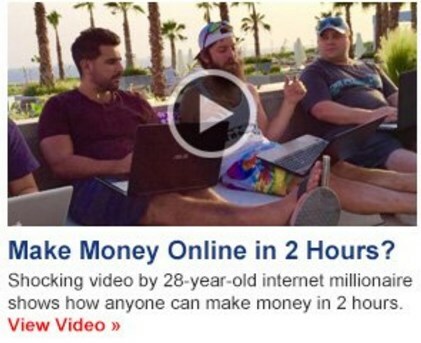 If you want to make money online you will have to take these baby steps along the way to become successful.